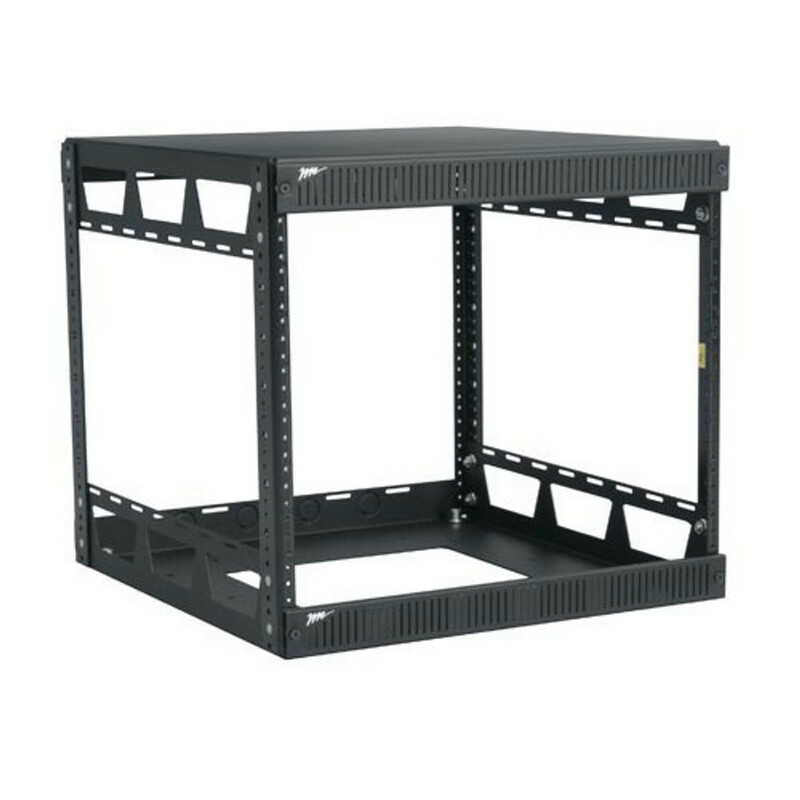 The Slim 5 Open Frame 4 Post Server Rack is ideal for narrow profiles. At 19.125” wide this narrow rack fits into many closets or tight spaces. The Middle Atlantic Slim 5 Racks can also be ganged together. The Middle Atlantic Slim 5 Server Rack is a great rack when you need it to fit into tight space or gang multiple units together without wasting your data center footprint. Made by Middle Atlantic, this 4-post open frame server rack is UL Listed and constructed of 14 gauge steel for the top / bottom while the rack rails are 11 gauge steel. Made in the USA this is one our most popular thin open frame server racks. Lightweight and designed to be easy to assemble and use, this bolt-together server rack is an excellent choice to maximize limited space. Need a complete enclosure? We can outfit with sidepanels, doors, and top to secure this open frame rack. The current top includes multiple laser knockouts providing the ability to add fans for hot running equipment.